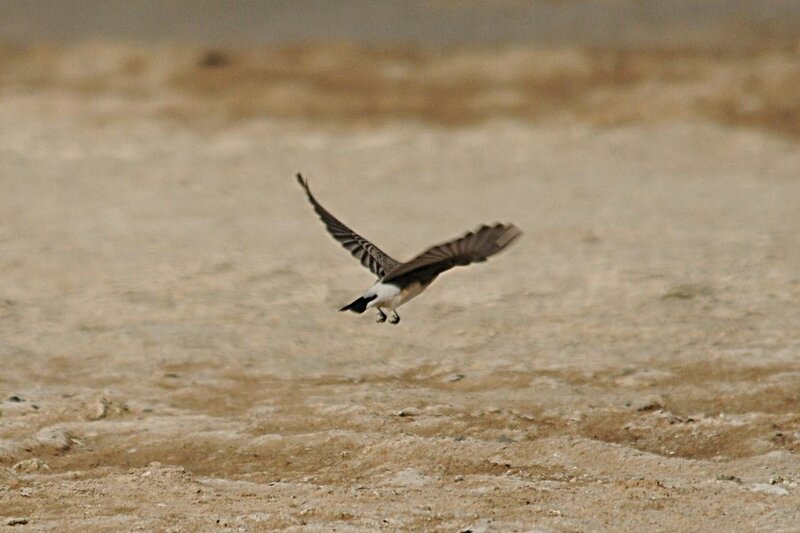 I saw this bird a week ago at Sabkhat Al Fasl (Jubail) Eastern Province of Saudi Arabia with Phil Roberts. I have been studying it since and have been unable to convince myself of its identification. 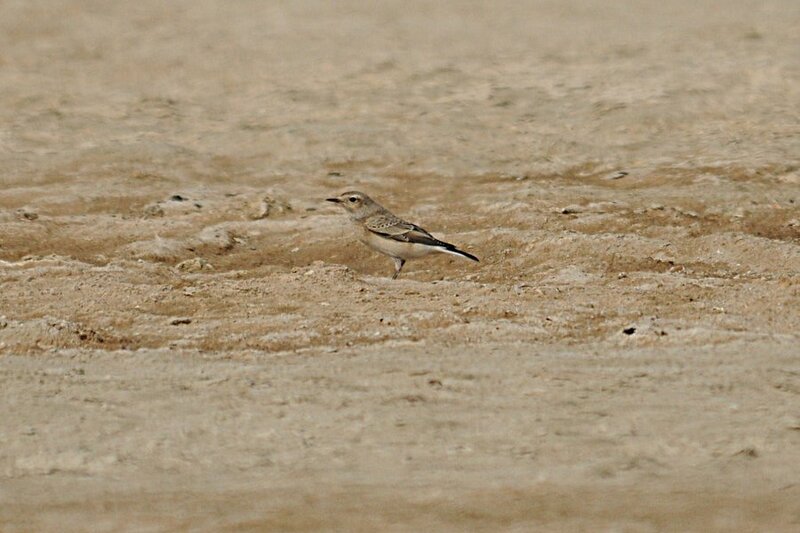 Phil and I have seen plenty of female type Pied Wheatears in Saudi Arabia but not one that looked like this and when we saw it we thought it was a Finsch’s Wheatear. This was partly based on the tail pattern which appeared to fit Finsch’s Wheatear (we saw the tail quite well on a number of occasions but you can never be certain about tail pattern as the birds often do not afford views of the fully spread tail). A 1st year male Pied Wheatear was also present in the same place and its tail pattern was obvious and easy to see. Apart from the tail pattern the general colouration and underpart patterning also fitted appeared to fit Finsch’s Wheatear well. 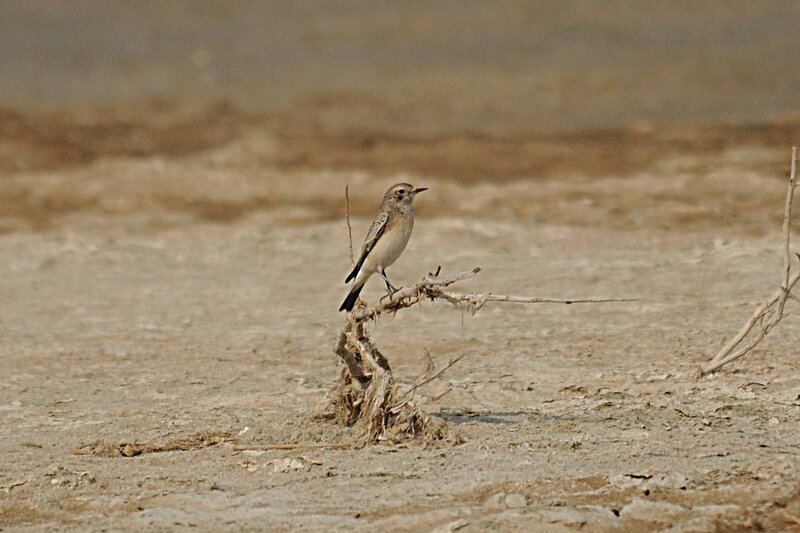 The more I have looked into the bird the less certain I have become about its identification as there are a few photographs on the internet that look similar and are labeled as female Pied Wheatear while others look like this bird and are labeled female Finsch’s Wheatear. The bird looks similar to the drawing in Birds of the Middle East - Richard Porter & Simon Aspinall (Aug 2010 - Helm Field Guides) but very different from the drawing in Collins Bird Guide - Lars Svensson, Killian Mullarney, Dan Zetterstrom & Peter J. Grant (Mar 2010). 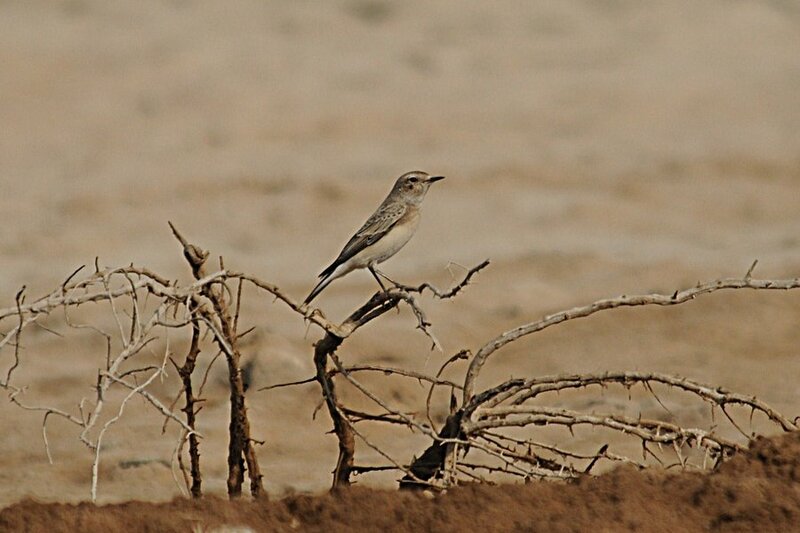 Pied Wheatear is much the commoner species in the Eastern Province of Saudi Arabia and many are currently on passage through the area. 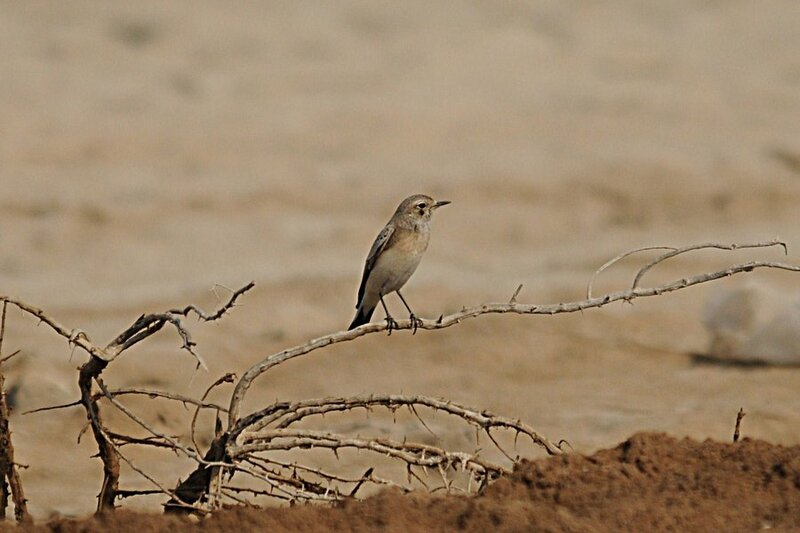 Finsch’s Wheatear is a scarce bird in our area of Saudi Arabia (neither of us have seen one before here) and Birds of the Eastern Province of Saudi Arabia - G. Bundy, RJ. Connor & C. Harrison (Aug 1989) says they occur from November onwards, although quite a few changes have occurred in bird distribution and numbers since the writing of this excellent book. Shirihai in his book The Birds of Israel says that autumn migration in Israel starts from the beginning of October to end of November mainly in mid October to mid November. If you have any ideas or comments on the identification of this bird please let me know by e-mail or by leaving a comment below.